We’re happy to announce that Jublo Translations has teamed up with WPML, the leading solution for multilingual websites powered by WordPress. 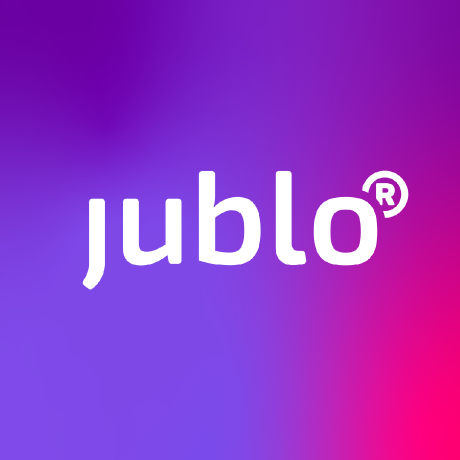 Welcome to the revamped Jublo. Starting from now, we’re taking a close look at our services and design. Turns out it was time for some fresh colour: The classic Jublo red meets a decent tone of violet in our new corporate branding. Sharing moments instantly – with Monicard! Have you ever been on the go and seen a marvellous sunset or a beautiful flower? Now you can share these unique moments with your friends and family. Take a photo and share your special moment with them – on a real, printed postcard. Welcome to codebird-php 3.1 “Drighlington”. This new release enables you to easily connect your code to the Twitter REST API, Collections API, Streaming API, TON (Object Nest) API and Twitter Ads API — all from one PHP library. We support a wide range of language pairs.